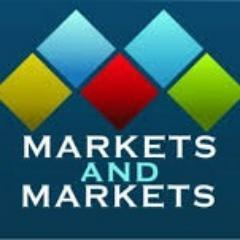 According to a new market research report "Identity and Access Management Market by Component (Provisioning, Directory Services, Password Management, SSO, & Audit, Compliance, and Governance), by Organization Size, by Deployment, by Vertical, and by Region - Global Forecast to 2020", published by MarketsandMarkets, the identity and access management market is expected to grow from USD 7.20 Billion in 2015 to USD 12.78 Billion by 2020, at a Compound Annual Growth Rate (CAGR) of 12.2% during the forecast period. Growing emphasis on compliance management, increasing trend of mobility, and growing demand from BFSI, telecommunications, public, and critical infrastructure sectors are the main drivers driving the growth of the identity and access management market. Browse 71 tables and 47 figures spread through 136 Pages and in-depth TOC on "Identity and Access Management Market - Global Forecast to 2020"
The audit, compliance, and governance component is estimated to grow with the highest CAGR during the forecast period. However, provisioning services have captured the highest market share as the provisioning lies at the core of access rights compliance and enforcement initiatives. Cloud deployment is expected to grow with the highest rate from 2015 to 2020. However, on-premises deployment is expected to contribute largest market share during the forecast period. Affordability of resources and high economies of scale has allowed large enterprises to leverage the benefits of IAM solutions. Moreover, huge workforce enables them to specify experts in different areas of IAM security and helps them to better manage their data and privacy. North America is contributing maximum toward the identity and access management market through component, deployment type, and organizational size. The changing needs of the workforce, adoption of cloud applications, BYOD, and mobile practices along with meeting the heavy compliance regulations are driving the organizations in North America to adopt IAM solutions. Europe and Asia-Pacific are the second and third-largest regions in terms of market size for identity and access management. The market is competitive due to the entry of new players with new and innovative offerings. Major vendors in the identity and access management market space include large number of vendors such as IBM, Microsoft, Hitachi, Dell Software, EMC Corporation, Okta, and Centrify. The report shows growth of the identity and access management market in various regions. The report aims at estimating the market size and future growth potential of this market across segments such as components, deployment type, organizational size, and regions. Furthermore, the report also includes an in-depth competitive analysis of key players in the identity and access management market, with their company profiles, SWOT analysis, recent developments, and key market strategies.